Flower Mound is hot on the juicing trend with the Grand Opening of their very own Nekter Juice Bar. The Flower Mound location is owned by residents and friends Brad and Kristi George and Jay and Kathy Robertson. This week we got to meet with Kristi to talk about how they got involved in opening a Nekter location here in Flower Mound and, of course, go to sample lots of delicious menu items! From Left to Right: Owners Jay and Kathy Robertson & Kristi and Brad George. While we usually focus on restaurants unique to our area, we also love featuring franchise locations that are operated by local residents. And the owners of Nekter's Flower Mound location have been part of our community since 1989. Kristi told us that Jay and Kathy were actually the ones who found Nekter after looking for a healthy business opportunity after feeling a little bloated and unhealthy from the holiday season (raise your hand if you can relate...). They knew that Flower Mound was in need of someplace like Nekter, so the two couples teamed up to open the location off FM 2499 in the same center as Prime Farm to Table. We already have a few favorites of our own to include the Acai Power Bowl, the Pink Flamingo smoothie, and the Super Food Protein Drink from their grab 'n go case. Which, speaking of their grab 'n go case, it's a great option if you don't have time for them to make you something custom off their menu, but still need a healthy hit during the day. Nekter Juice Bar also offers Juice Cleanses which we know are SUPER popular at the moment. Their cleanses consist of 6 different juices every day and you can choose whether you do it for 1 day, 2 days, 3 days or 5 days. 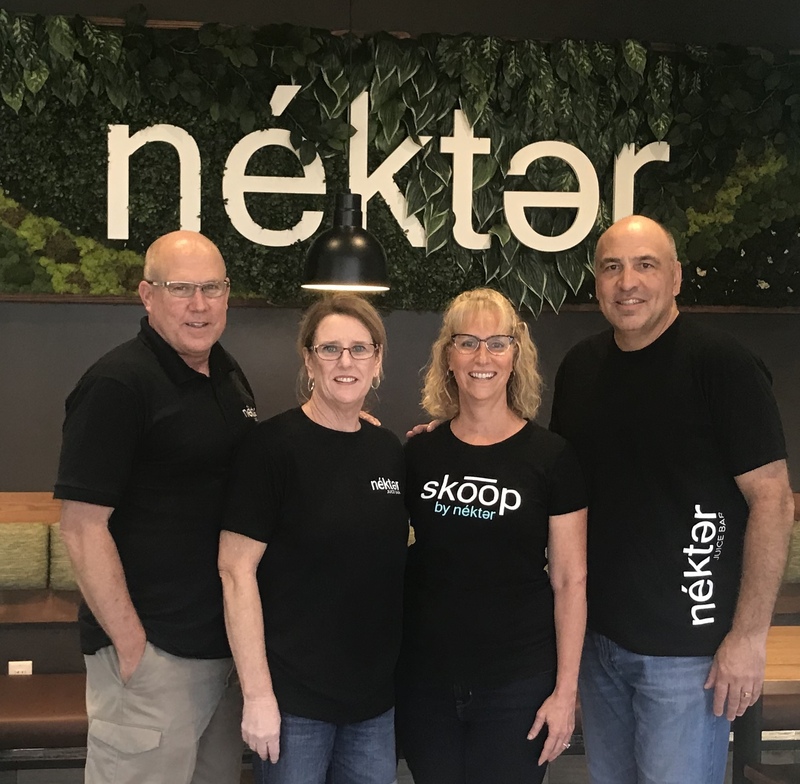 Brad and Kristi and Jay and Kathy obviously have lots of friends in the community considering they've been a part of it for nearly 30 years, but the part they love most about owning Nekter is getting to meet so many new faces here in Flower Mound! So, if you haven't been in yet to check out their establishment and meet them, head on over for a healthy snack alternative! *Nekter Juice Bar Flower Mound is located at 5810 Long Prairie Rd, Flower Mound TX 75028.